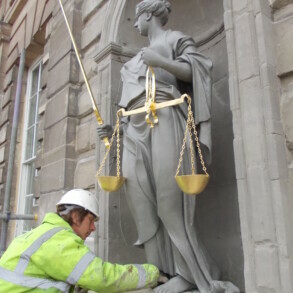 Home > Sculptures, Memorials and Plaques > Sculptures > Justice: Warwick Courthouse. 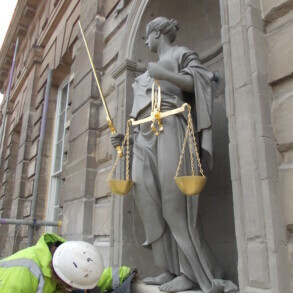 Justice, despite apparently looking reasonable from a distance was in need of multiple repairs. The stone on which she sat was cracked and broken, her sword had been stolen, the scales were badly corroded, the iron fixing that held her to the wall was fixed into cracked cement/concrete and many many cracks in the lead were visible through the old flaky paint. 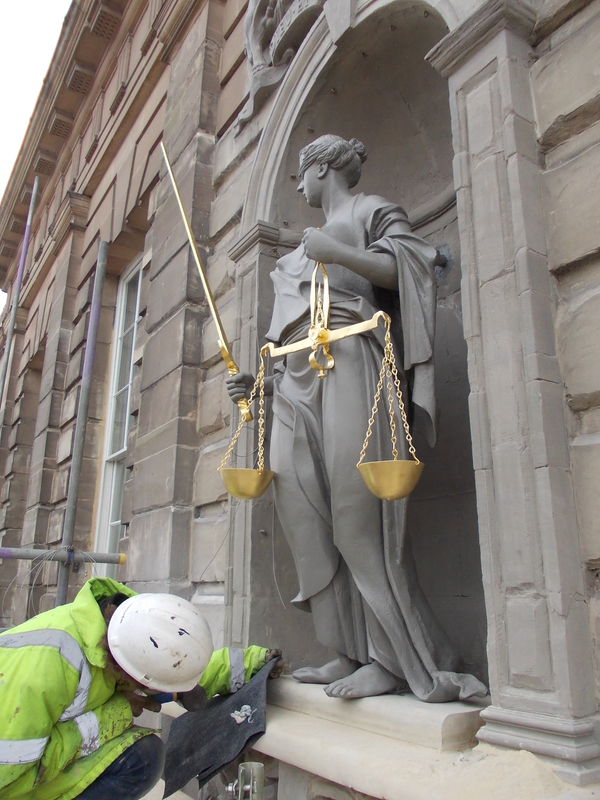 Placed in a niche above the courthouse in Warwick the figure of Justice should have been an imposing sight. Sadly deterioration and vandalism over the years meant that despite looking just about acceptable from a distance close inspection revealed many significant problems ranging from lack of supporting armature to cracks in the supporting fabric for the fixing bar. 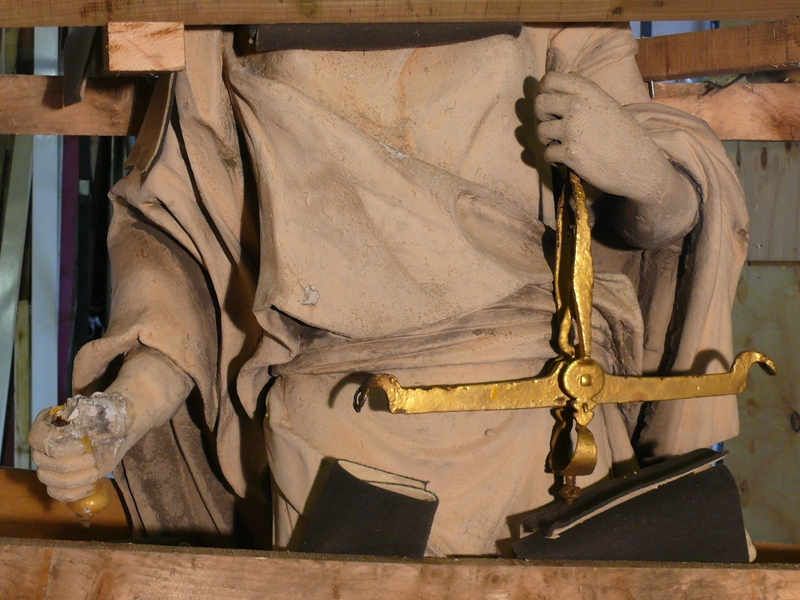 The sword had disappeared and the scales of justice were badly corroded and lacking in gilding. 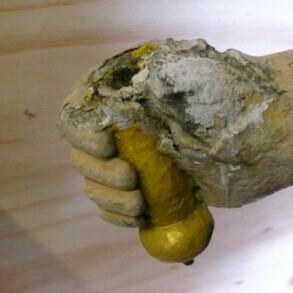 Cracks in the lead casting were apparent through the many layers of flaking paint and when this paint was carefully removed and the staue washed down many more came to light. 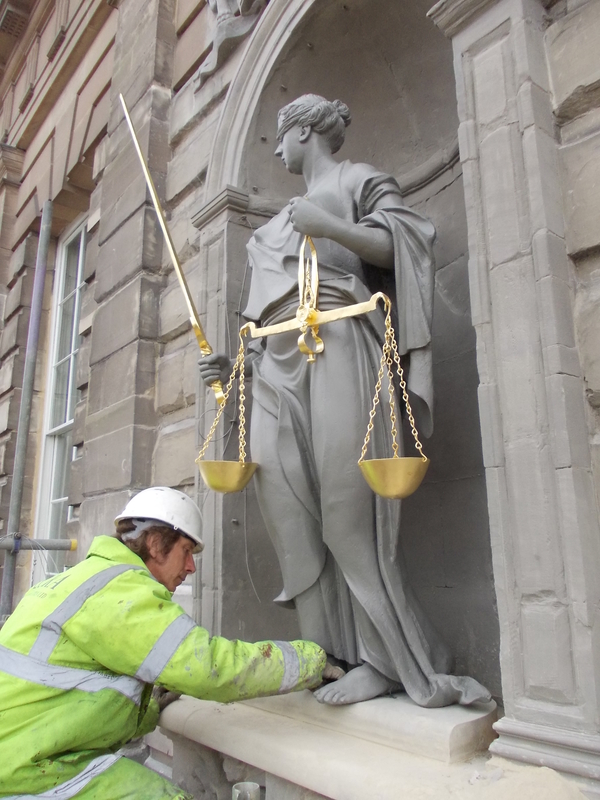 The team at Eura carefully removed the statue to our extensive workshops in order to restore Justice to her rightful glory. 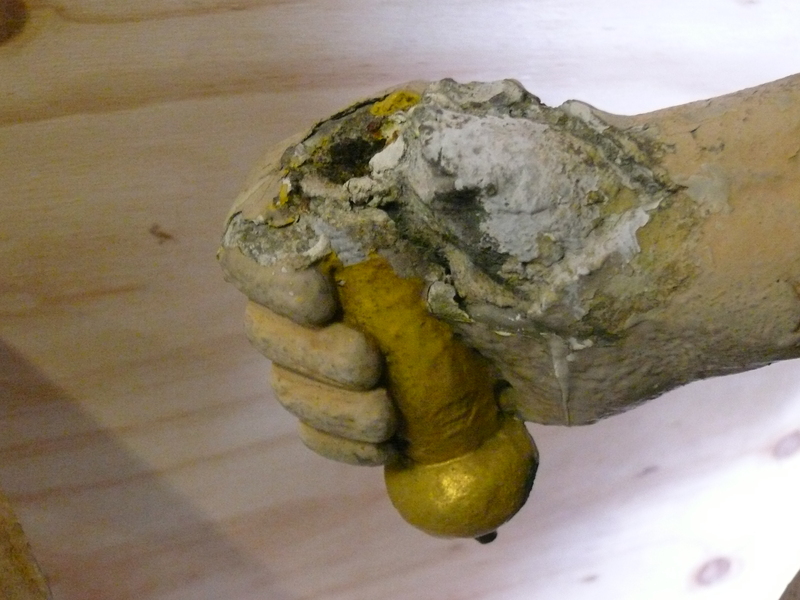 Carful removal of the infill of cement enabled a new stainless steel armature to be fitted throughout, including areas where support had been lacking in the past. 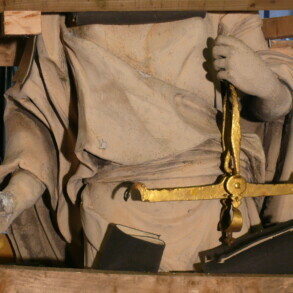 The multiple cracks were carefully mended using lead wire, a new sword was fabricated and the hand holding it likewise remade, all strengthened with stainless steel armatures fixed to the statue with lead strapping.